Do I need a BEC? "Sixteen cells Max (with BEC disabled)"
Does this mean that I need an external BEC? My understanding is that a BEC is for supplying power to the receiver. I purchased the ESC without even knowing about BEC's. I don't know if I need one or not, whether I need an external one or do I need a different ESC. Would appreciate any help I can get. You will probably also find in the manual (datasheet) the different power you are able to draw from your controller depending of the voltage supplied into the bec. It is easier for a linear bec to feed your rx the lower voltage it has to regulate. If we suppose that 16 cells is NiMh it will be a nominal 19 volts. It does not say if your controller is compatible with LiPo? It is normal to get e few amps from the bec if you are using 2 or 3 cells lipo but it will not cope with higher voltages if it is an old controller you are using. I am real grateful for you supplying the above reply, but being REALLY new to the hobby, I don't fully understand it. It is my thought that the ESC I have has a BEC built in as it is brand new but unfortunately the specs don't spell it out in a language that I recognise. 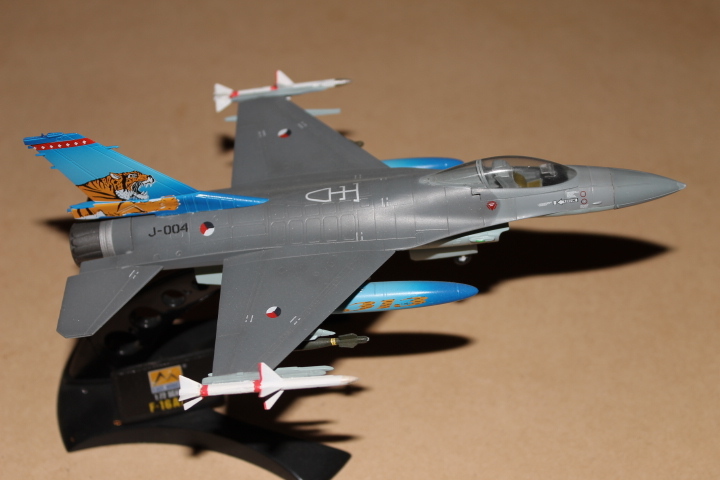 My scratchbuild is a 3D F16 with only 2 servos. I gather that means this will be OK??? Oh, yeah. That will be no problem. What ESC are you using. The ESC is one from Ebay. the item no. is 110854475375 if you are interested. Try the system. Plug in the battery into the ESC, ESC into the Receiver. If the Rx lights up, then you're fine. I'll have a look on eBay. I used the bec on board my esc's until I built a fairly expensive quad and made a discovery. I initially used one of the esc's bec to power the quad electronics until I noticed that the esc was running hot and the other 3 were cool. I now use UBEC's on everything so the esc's run cool. In taking apart a blown esc I discovered most esc's use a linear regulator or 2 and all the voltage from battery voltage down to 5 or 6v is dumped as heat. Not a good thing. Tell us a little more about your setup. How big / heavy is your plane? Translation : 6-12 volts input tells that it suits 2 and 3 cell LiPo battieries or the older NiMh - batteries from 5 cells up but you cant use the BEC if more than 10 cells in series. 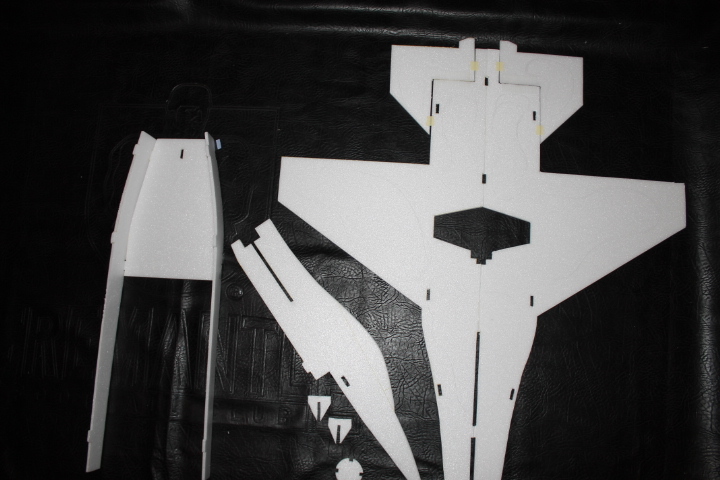 I am very new in the hobby, so I can't give you too many details, however I found the plans for this F16 on- http://frcfoamies.blogspot.co.uk/ thanks to Boxermad84. The running gear that I intend to use are pictured below. 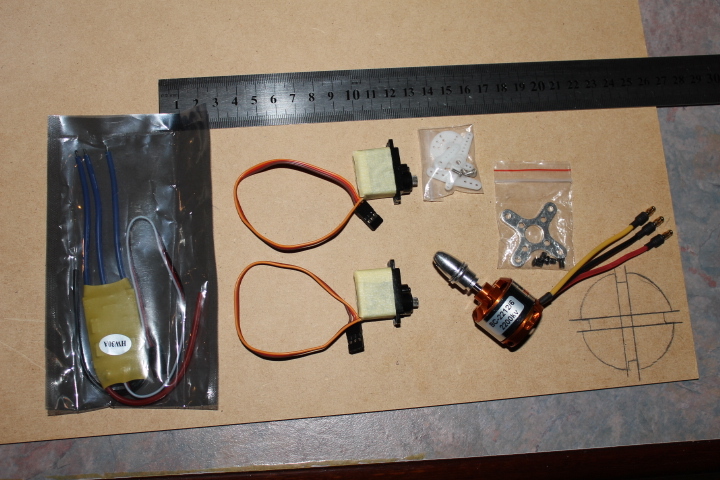 The motor is an RC Timer 2212/6 2200Kv. Which will then connect to the subject of this thread, a 30amp ESC. I am using 2x 9gm 1.8Kg metal gear servos. I have a Turnagy 9x transmitter and rx' on the way so I will use that Rx. All this will drive a 6x4 prop. As for the battery, I also have a KingMax 1500mAh 11.1v 25C lipo on order and a couple of Blitz RC 1300mAh batteries that currently belong to my Skysurfer. Once I finish I will probably put a full post together for everyones info. 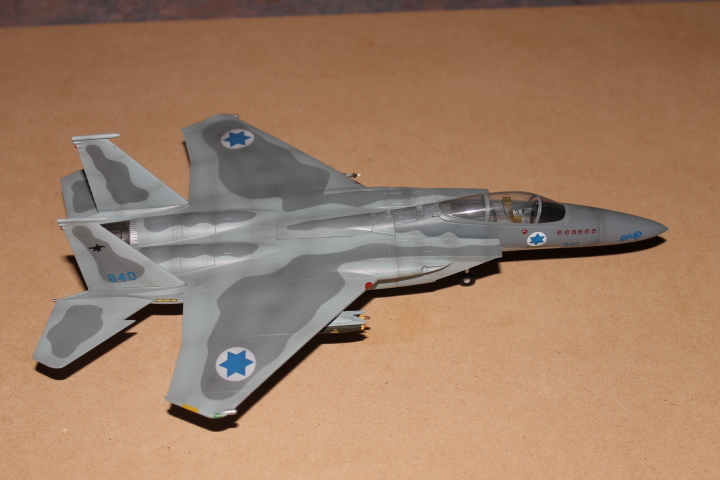 As for the artwork, I have enclosed a couple of photo's of models below. I am tossing up between the two of them for the paintwork, but either way I will be applying them with Tamiya model paint, applied through a compression airgun system that I use for normal model kits. ALSO, just a little tip I picked up as you will see above, is to put a nice clean wrap of tape around the servo before glueing in place. If at a later time you want to remove them you can just peel the tape off rather than having hot glue stuck on the body of the servo. I hope this answered your question and thnx for showing some interest. Can only say - NICE! 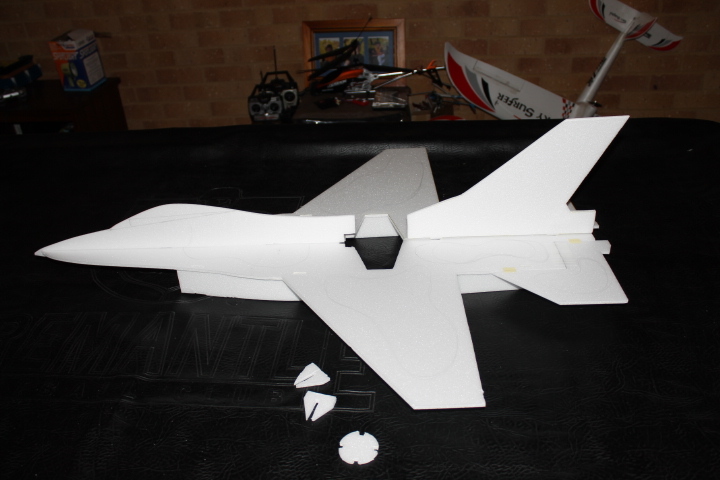 Everything looks fine and it will be fun to see the plane assembled and painted - in the air. I don't think anyone's answered your question yet... 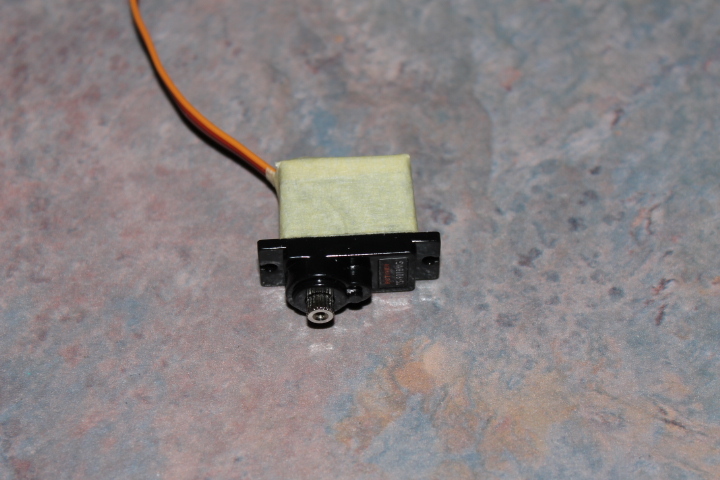 The purpose of a BEC is to supply power to the receiver straight from the battery instead of through the ESC. A lot of ESCs have a BEC built in, but if the ESC overheats or fries or the servos require more amps than the UBEC can deliver, the built in one isn't very useful when you've got a plane in the air, as you can't control the plane and it crashes. The ESC you have has a UBEC build in that can handle 2-3 cell Lipo batteries. If you want to use a higher voltage, you need to disable the UBEC and use an external one. So no, you don't need a BEC. However, as mentioned on the first page, the UBEC (built in) is converting up to 12.6V to 5V, which creates quite a bit of heat. Cheap ESCs sometimes can't be trusted in the upper range of their rating. Well said. I can't find your particular ESC anywhere else where it might specify a BEC rating, but their blue series has a 3A bec which is very good. Does it say anywhere the voltage and amperage rating of the bec? I haven't had any problems with any ESC's not powering my equipment right. My really big planes and heli are nitro so I use a separate battery pack anyway. I have a turnigy 40 amp esc though on my super cub and it's powering 7 servos (flaps, ailerons, rud ele, bomb drop) without trouble. If you're really worried about it you can run a separate BEC or separate pack but your esc is only rated to 12v input (3s) anyway. I'd do some bench testing and if you don't find any trouble there, run it. More gear always = more weight, but crashes negate weight savings lol. Thanks to everyone.... I am really impressed with the willingness to help that I find on this forum. 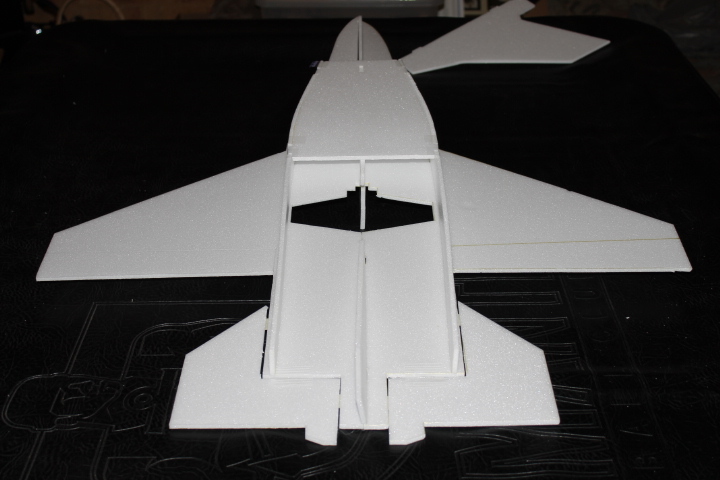 I will finish building this plane, bench test everything followed by some short test flights then when all is good watch out I'll let rip! I am still waiting for parts and for the Tx but in the mean time I will get to the painting of it. When all is finished I put a new thread together for anyone that may be interested. Looking forward to your new plane.